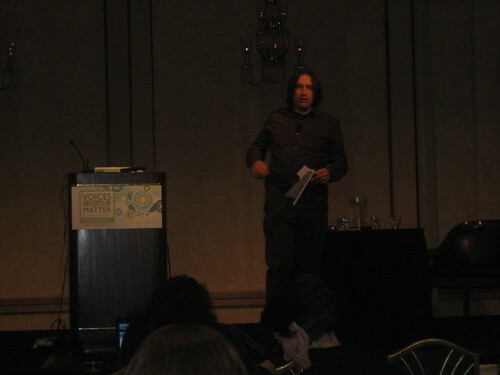 Microformats: what are they and why do I care? 1 Microformats: what are they and why do I care? Add yourself alphabetically sorted by last name if you attended. not a standards body. wiki, irc, mailing list. discuss, new. group consensus. kinda the model being taken on by whatwg group. process of html5. a little tougher there with so many people. 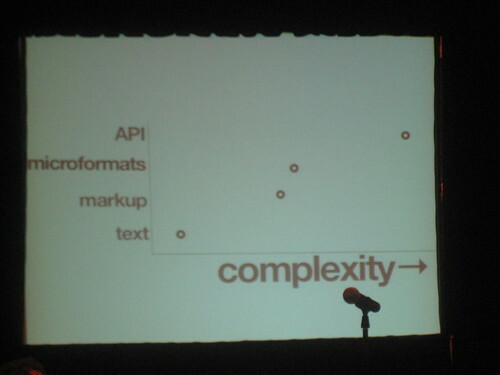 microformats are decided by "us" [the community]. if you want to contribute, you can also just blog it, and tag your post with microformats. Q: what microformats are in the pipeline? microformats that have reached a solid stage, about 10. about 10 more well developed in the pipelines. of interest/note: hAtom. also hResume, mostly just combines existing microformats. hReview is another that is technically still in progress. Apple store that just relaunched a few weeks ago is using hReview. it? operator is a testing ground for microformats in firefox. ff3 will have native support for microformats. cornered one of the Opera developers at a conference recently, and they said yes, there will be microformats support in a future version of Opera. Who has an hCard on their page? DKR? Blueflavor contact page. Got other plugin which will get put into Operator also. Bluetooth export. Mobile phone connected over bluetooth to my computer. Have previously paired. come up? Suppose you're not using Firefox. Someone has written a bookmarklet. Also as a publisher, you can have this link, I mentioned the Technorati URL that is a RESTful URL service that goes thru an XSLT transform that converts hCard to vCard (again, demonostration with Blue Flavor page). So all different ways, browser native, plugins, bookmarklets, you yourself can expose the data with conversion links. the first killer app? Be as simple as possible, make it easy for everyone to publish. Operator is quite powerful. Events, with hCalendar markup, with one click you can add to Google calendar.